Kenaf (Hibiscus cannabinus L.), a bast fiber, is allied to the jute fiber and shows similar characteristics. Kenaf is a member of the genus Hibiscus in the family Malvaceas. Kenaf has many applications including in the production of natural fiber composites materials. This fiber also has the potential to be used in low density panels, pulp and paper. The Kenaf plant is an example of a number of woody-stemmed herbaceous dicotyledons grown in the tropics and subtropics. The fibers can be extracted from the bast of the stems or stalks. Kenaf is annually cultivated from its seeds for the fibers. The first step in processing is cutting of the kenaf stalk close to the ground and then left to defoliate. Then the stalks are stripped in decorticating equipment, washed and dried in the sun. The world kenaf production in 2016 is estimated at 300.000 tonnes. 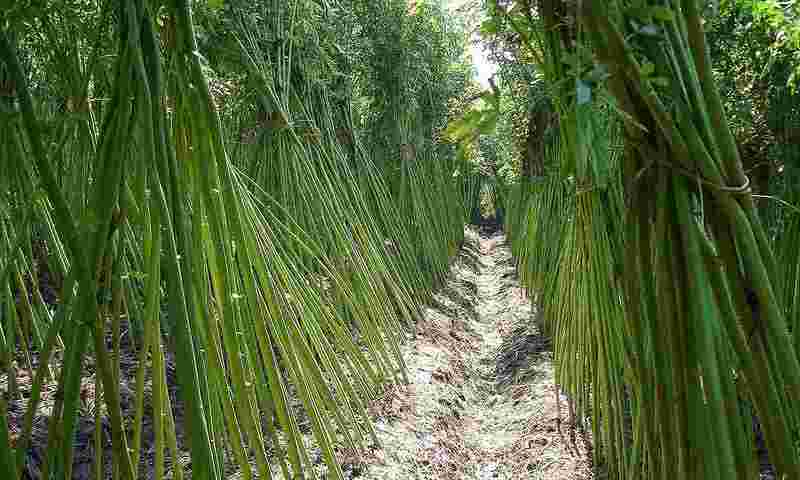 The key kenaf fiber producer is India, while Chian also produces a major part in terms of volume. Malaysia has been investing in kenaf production but the volume is low at about 3,000 (-10,000?) tonnes annually.